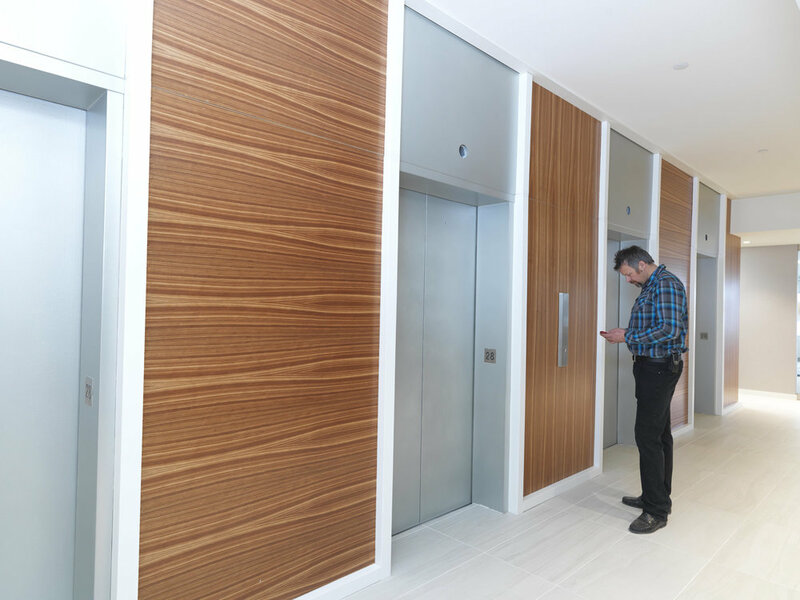 MacLeod Builders completed this extensive office build on the 28th floor of the SunLife Plaza West Tower in January, 2016. Working within a 10 week schedule, the project involved top to bottom finishing and included 28 offices, staff kitchen, boardroom and printing area. Inspired by art in the office space, the office includes dramatic millwork detail while allowing plenty of glass partitions for a bright and unique space. The 28th floor lobby was also completed by MacLeod Builders. Brand new wall paneling, carpet, tile, and wall paper completed the space, creating a welcoming entrance onto the 28th floor.